PANDORA Shine Filled With Romance Charm. 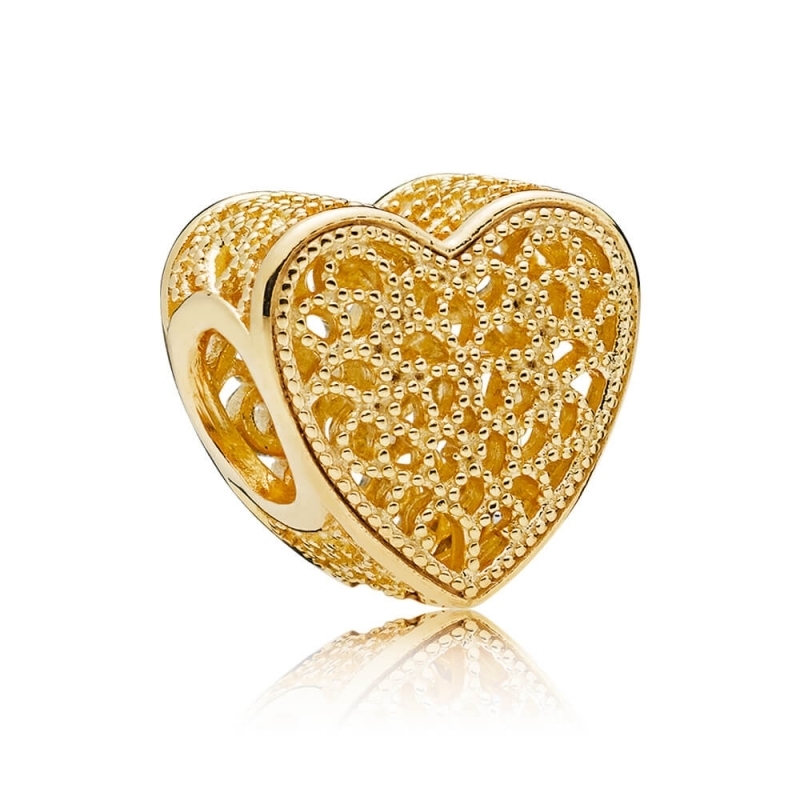 Filled with romantic filigree detailing, this stunning heart charm is effortlessly chic. Finished in 18ct gold-plated sterling silver with beaded details.